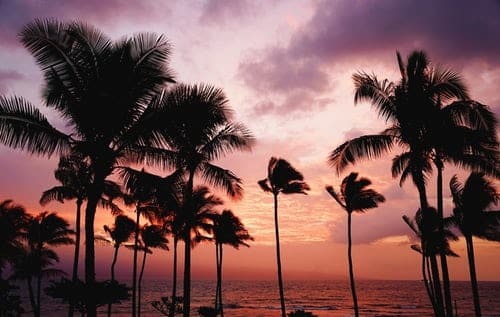 You might be one of those people that have always seen Hawaii beach on the TV but never had a chance to go to. Suddenly, you got the opportunity. You are so excited to visit Hawaii beaches that resemble Paradise on the Earth. You can enjoy all sorts of fun activities that you cannot in everyday life unless you live near the sea. However, as with any place you should be careful of certain situations. It is important to come prepared in order to avoid any injuries or even something worse. Here is a guide on Hawaii beach safety that will prepare you for your trip there. 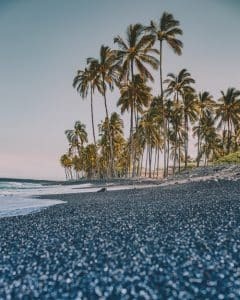 There a couple of things you should pay attention to when visiting Hawaii beaches or if you wish to move there. If you really do, you should check out Lahaina movers for the best moving rates. Early this year, eight people drowned on Maui. Six of them were locals while the rest were the tourists. The cause of death among visitors of Hawaii beaches, in most cases, is snorkeling. How should you behave in order to stay safe while snorkeling? Do not think you are more powerful than the ocean. You cannot go against the force of nature. Snorkel only when the sea is calm and pay attention to the distance from the shore. Do not go too far as you can easily get dragged away by the currents. As already mentioned, the ocean currents represent the big danger. Rip currents are usually strong, and fast-moving currents of water. These currents are extremely dangerous if you get caught in one and not sure what do to. Many drownings happen because of rip currents since people get caught in a one, and are unable to return to shore. 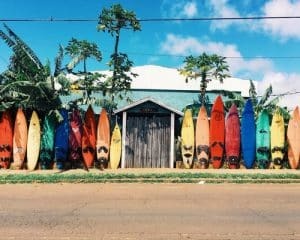 Therefore, if you would rather spend your time safe than surfing, swimming in the sea or sunbathing here are some must-try Hawaii dishes waiting just for you at the Hawaii beaches. Here are several steps to follow if you get caught in a current. First and most importantly, do not panic. It will only make it worse, and you will have no chances of survival. Try to stay calm. It may seem like an impossible feat, but this is what it will keep you alive. Do not try to fight the current or to try to swim against it. The best way is to swim parallel to the shoreline, and then swim at the angle to the shore once you leave the current. If you cannot, try calling the lifeguard. Simply float while you wait for help. It does not sound possible, but it is the only way to get you to the safety. Do not try to try and save them yourself. If you do not have relevant experience, you will only make things much worse. Grab the attention of a lifeguard or call 911 if you cannot find one. If the circumstance allows, try to help the victim by telling him or her what to do or throw something that will drag them to shore. When you are looking for a perfect beach for you, try to pick one that has a lifeguard. It is the safest choice when you know that there is someone whose job is to keep you safe. That is why you should not choose remote beaches. It is tempting because you will have privacy and more comfort, but in case of an emergency, it might represent a problem. A problem that might cost you your life. Better safe than sorry. It will be wise to go to the beach with a company, never alone. If you get in a trouble, you have someone to notify the authorities. Once you reach the beach, obey all the rules. Do not try to be the smartest person there because you will end up paying the price of your pride. In case that you are looking to get some fun while being safe, why don’t you try attending the festivals in Hawaii? Preparation and research is everything. If you come prepared, you can avoid most mistakes that people make. As for research, try to find out about beach regulations, safety measures, and the currents. If you cannot find everything that you are interested in, ask the lifeguard. They will certainly know answers to all of your questions, and they can even give you some additional advice on how to behave. When you are at the beach, watch how the sea behaves, is it calm or does it have too many currents. If you are not sure if is it safe to enter, then do not try. It is the best to stay safe at the shore or in the shallow water. Jellyfish can be quite dangerous. If you spot one, do not try to play with it or to touch it. You will only hurt yourself. Try to pay attention when you step. Do not walk on the wet rocks as you can easily slip and hurt yourself badly. For any additional information, visit the Hawaii Beach Safety website from the Hawaii Lifeguard Association. There you can find the best beach for you and hazard rating. Do not be scared by this safety guide. You should know what to expect. If you happen to fell in love with Hawaii and you decide to move there you can check out Hawaii moving services. 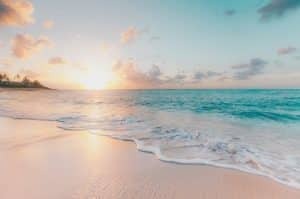 Hawaii has the most beautiful beaches and you should visit them all if you have the opportunity. Your safety should be your top priority. That is why you should come prepared to Hawaii. Do the necessary research beforehand, so you will know what to expect. Go to the beaches that have a lifeguard and never go alone. You will want to have someone to help you if something bad happens. The danger of strong currents is one of the biggest problems, so follow the instruction carefully. If you happen to find yourself in one, stay calm and do not panic. Do not let this to discourage you from having a good time.